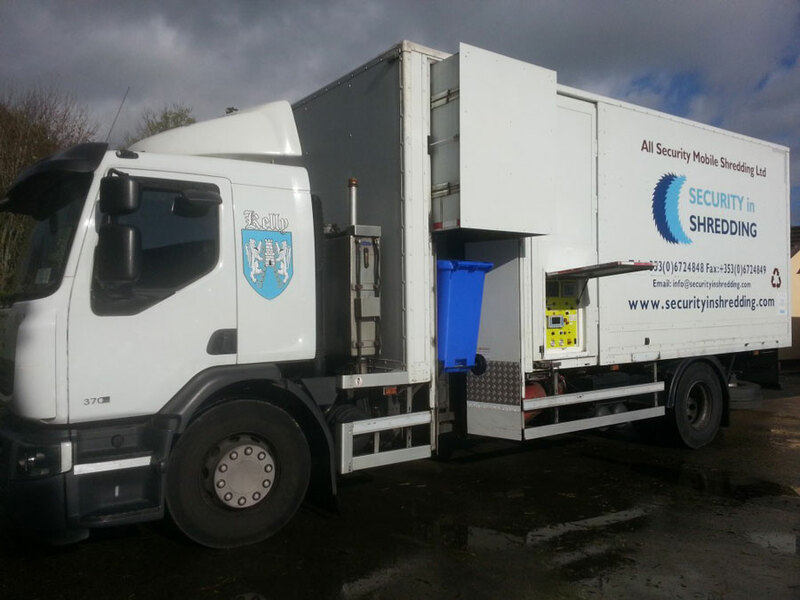 At Security in Shredding our On site shredding is available for a scheduled call outs. Confidential shredding is available in Galway, Limerick and throughout Ireland. Securing the confidentiality of data generated through business activity has always been of paramount importance for an organisation/individuals reputation. As competition increases, it is important to eliminate the risks that may lead to the loss of client business and severely damage their reputation. While today much of the work is done online, the hard copies of some documents are still maintained for the purpose of information sharing or as documented records that need to be produced during meetings or during audit trials by regulatory authorities. To protect the information in these documents, the businesses therefore need to destroy and dispose it safely and responsibly. Using a conventional office paper shredder could be an option but for higher volumes of documents with varying levels of data protection requirements and critical information contained on them, it is not viable and safe to use. This is when a professional paper shredding service comes helps the businesses securely dispose of their offices documents and comply with all relevant legislation. Destroys the Document Completely: The office shredders shred the documents in strips that can easily reconstructed to retrieve the data. The on-site professional service guarantees the complete destruction of the document into cross cut particles, making it completely impossible for any person to reconstruct. Facilitates Efficient Management of Resources: An office paper shredder occupies a lot of space and takes a lot of time to install and operate. You need to dedicate an employee for this task which normally takes half an hour or even more depending upon the volume of the documents to be shredded. In addition to that the issue with regards to deciding upon what needs to be destroyed and what can enter the traditional recycling streams. The employee will also require the relevant training with regards to data protection if they are to be left with the responsibility of destroying the documents. 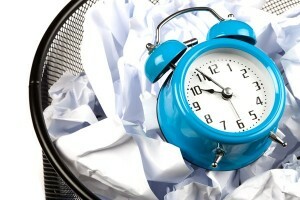 At that time, the employee is not executing anything productive for future business. While half an hour or so may seem a small length of time at first but the annual figures will finally give you a clearer picture of how much time your employee has spent in this non productive activity. Information Security: To shred the documents, you have to delegate a specific employee for this task which means you are giving all your company’s confidential information in the hands of a third person who may or may not be loyal to the company. Therefore, calling for an on-site paper shredding service is a better option because these people are only focused towards doing their job and they are not at all concerned about the information contained in the document. Cost-effective: Hiring the services of a professional paper shredder saves you money because you don’t have to bear the maintenance and repair costs of the machine in addition to the wages and training expenses. Moreover, your employees will continue to earn more profits for the company by working on core business projects rather than engaging in paper shredding work. Additional Services: Some paper shredding companies also provide additional services such as dismantling of IT equipment, electronic hard-drives destruction and consultancy to give a complete piece of mind to its clients. So, it is a one-stop shop for all your security needs. With all these benefits, an on-site paper shredding service is certainly the best way to secure the business critical information. Always look for those companies that also offer additional services so you don’t need to go to different companies for your every security need. This entry was posted in Confidential Shredding, Data Destruction, Onsite Shredding, Paper Shredding and tagged Confidential Shredding, limerick paper shredding, Onsite Shredding, Secure Shredding, shredding Galway, shredding Limerick by Security in Shredding. Bookmark the permalink. I think the article makes a good point about how hiring a document shredding service can be beneficial since it protects their customer’s sensitive information. As a consumer, I would want to know that the places I do business with take the appropriate steps of compliance in regards to my personal data and information. Given that benefit along with the article’s statement that it saves money and the environment, I don’t see why more businesses don’t look to outsourcing their shredding needs.